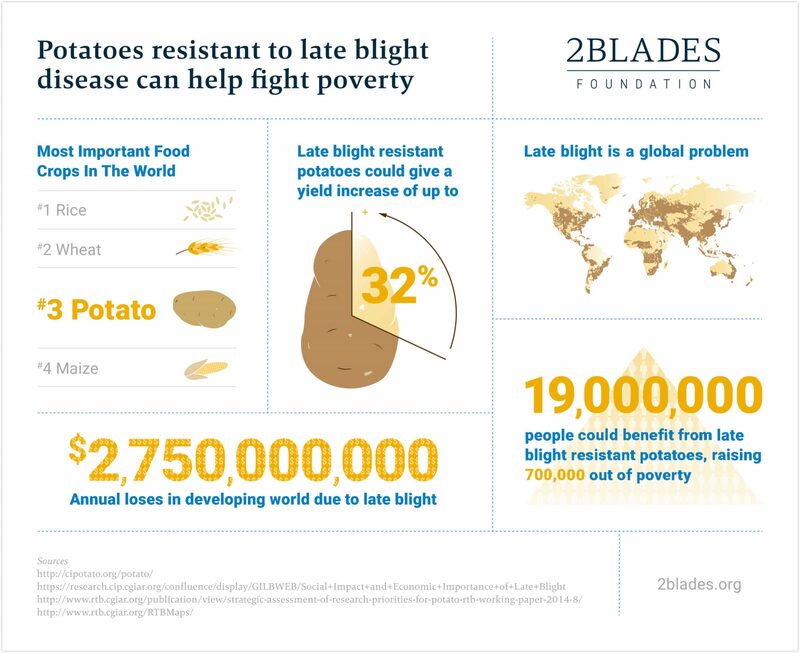 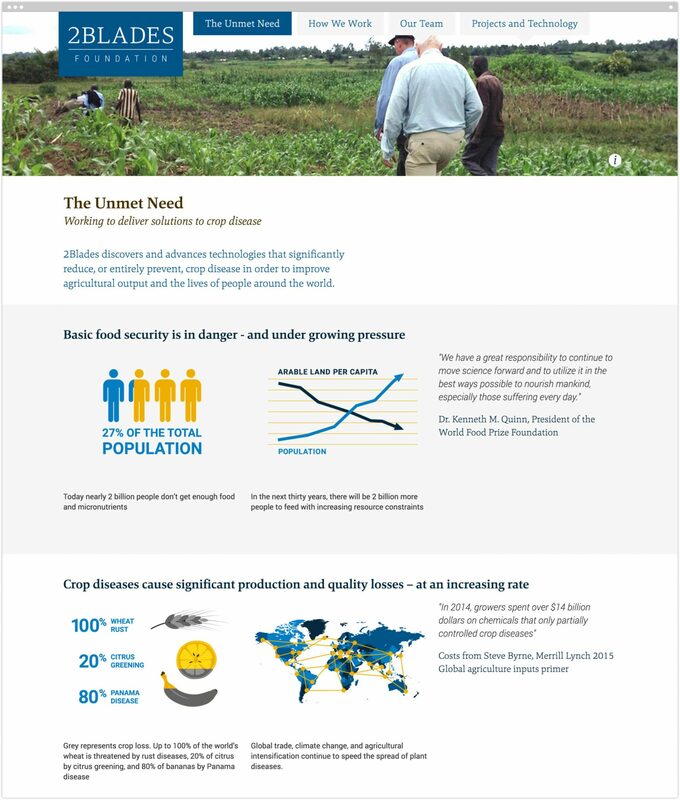 2Blades Foundation discovers and advances technologies that significantly reduce, or entirely prevent, crop disease in order to improve agricultural output and the lives of people around the world. 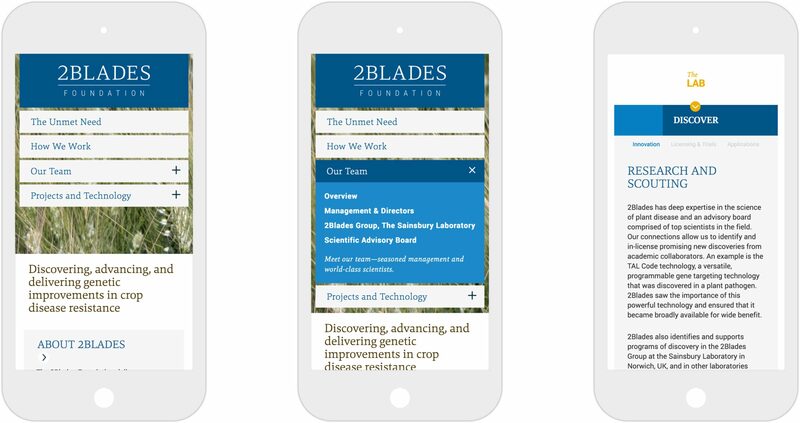 We collaborated to develop new approaches to their identity, messaging, and visual expression and translated all to a new website—one that speaks to the scientific, governmental, and donor communities. 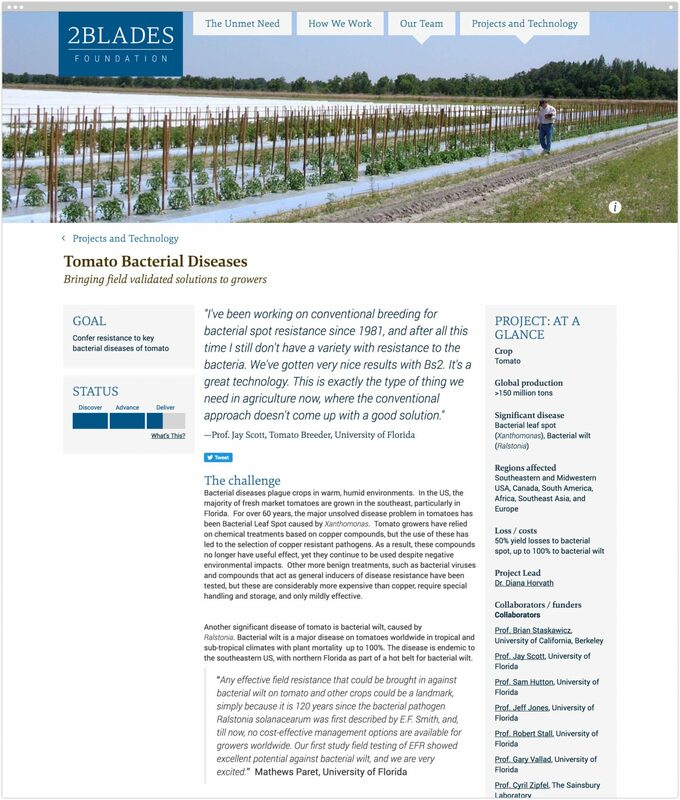 The new works to shine a light on the critical gap in plant science, and prove the efficacy of the foundation’s unique model through detailed descriptions of ongoing projects. 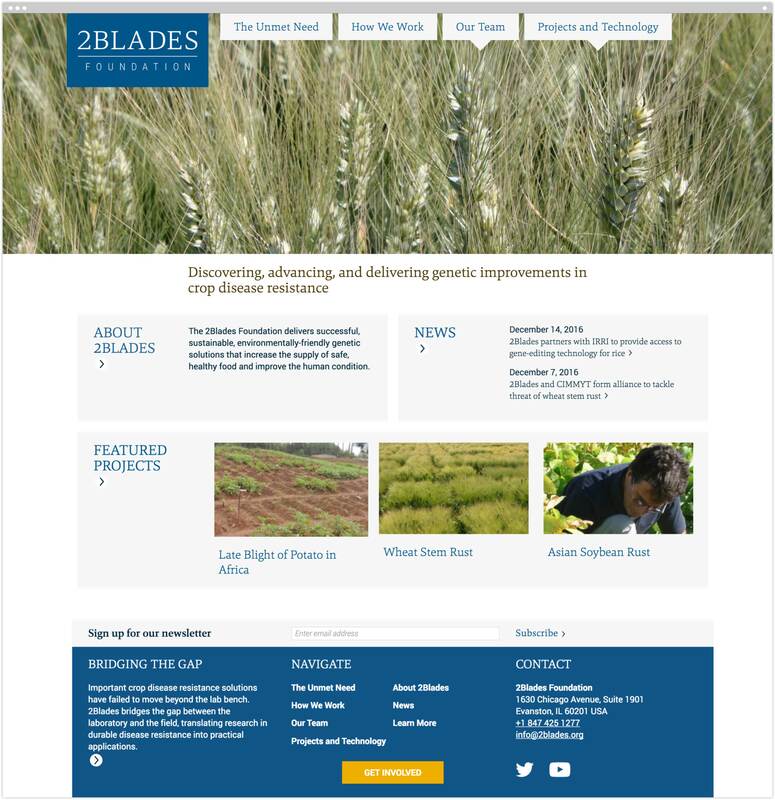 A variety of unique modules across the website highlight and elaborate on different aspects of the foundation, including team members, project statuses, and how the group works. 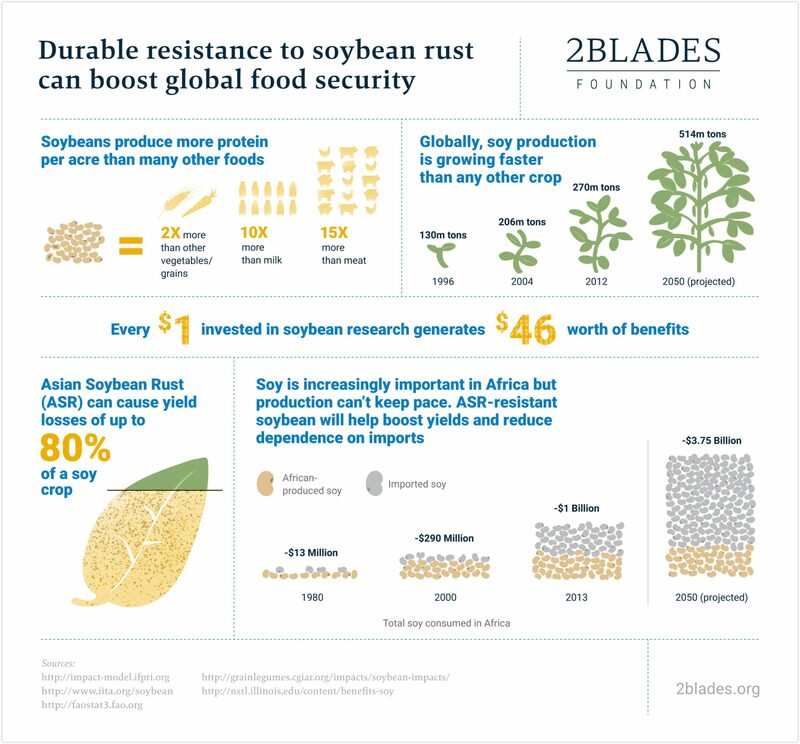 We are excited to see where the 2Blades Foundation goes from here, and what improvements they make in crop disease resistance.